Lobster tail can be prepared in a number of ways. The lobster tail is the tastiest part of the lobster and makes up the bulk of the lobster's meat. The tail can be prepared in a variety of ways. How lobster tail is prepared will depend on a number of things. If you are using frozen tails, you will need to thaw them first, either in a refrigerator for several hours, or in a microwave for a few minutes. If you are using fresh, live lobster, you will need to kill the lobster, remove the tails and then prepare them with your preferred method. 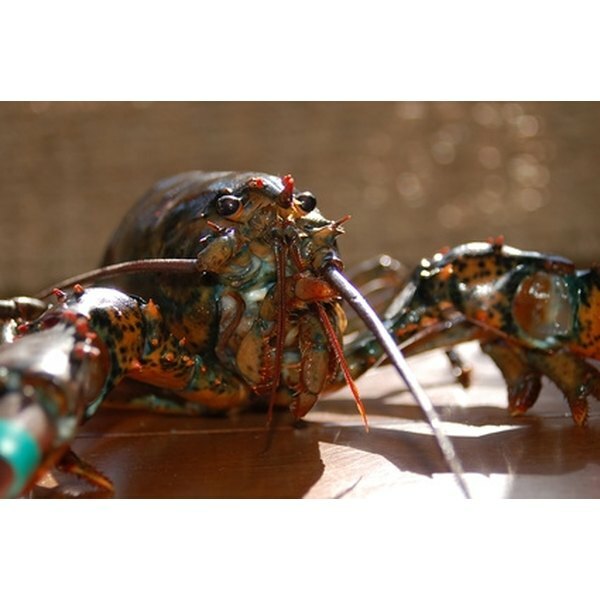 Most people prefer to cook the whole lobster, because the claws contain very tasty meat as well. 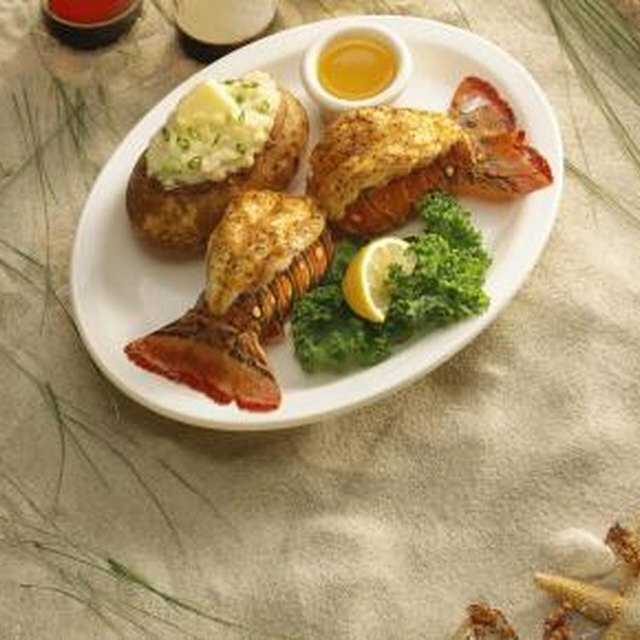 Lobster tails can be boiled, steamed, baked, broiled or grilled. Each method has its virtues, and all are equally easy ways to cook a lobster tail. Lobsters are most traditionally boiled, but any of the methods listed above are sound. These methods do not require the tail to be removed from the shell, but when cooking larger lobster tails on the grill or by broiling it is advisable to cut down the length of the underside of the shell. This will help prevent the meat from drying out and help cook it evenly. For a beautiful 'cauliflower' effect on your lobster tail, take a sharp pair of scissors or shears and cut down the center of the top of the tail shell. Do not cut all the way down--stop when you reach the fan end of the tail. Gently pull the shell apart, working down the length to open up your cut. Once you've worked it open, use your fingers and thumbs to pull the meat up and away from the shell. You should be able to use your fingers to free the meat from the shell with the tail whole and intact. When you reach the end of the tail, at the fan, just pull the tail out of the shell (it will still be attached at the base) and lay it on top of the shell. You may want to trim the ragged edge of the tail at the opposite end. Season and broil the tail. Seasoning your tail can be helpful for flavor when you broil the meat. You can brush the meat with butter and tarragon, salt and pepper or other spices. Lobster meat does dry out easily, so use the butter to keep it moist when you broil, and be aware that cooking times are very short when cooking lobster tails. Try the many cooking methods to see which one is your favorite. Cook just until the meat has turned opaque. Overcooking will cause toughness in the lobster meat. Mary Duffy is a freelance writer and columnist specializing in arts, literature, cooking, and green living. She holds a Bachelor of Arts degree in liberal arts from St. John's College and lives and works in Tennessee. How Do I Reheat Leftover Boiled Lobster?